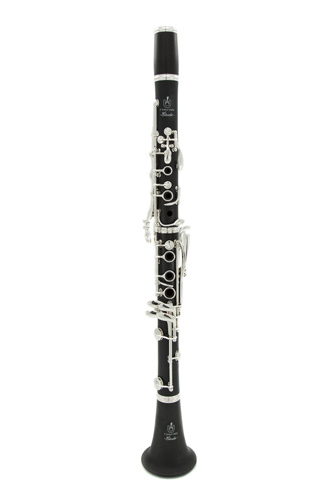 This new arrival to the upgrade clarinet scene is presented by the German Uebel company. 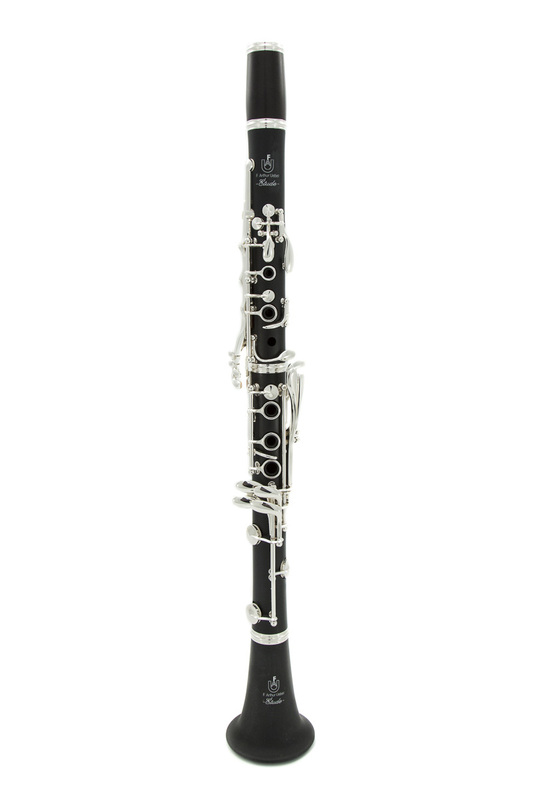 With a rich tradition in clarinet manufacturing the Uebel clarinets offer a warm and full tone. This Etude model is a great value option for anybody making the first upgrade from a cheap beginners model, or indeed someone starting out but wanting to jump straight to a better instrument. The clarinet body and bell are made of ABS but the barrels (two supplied: 65mm and 66mm) are wooden which adds some depth and quality to the tone. The outfit comes with silver plated keywork, a smart and lightweight case that is very portable and sleek. It also comes with the relevant cleaning and care products including a Rovner dark ligature. All in all this is a very welcome addition to the first upgrade price point, it plays and feels like a very competent clarinet.